Ford has been witnessing unprecedented footfall in its showrooms, all thanks to the Ford EcoSport. 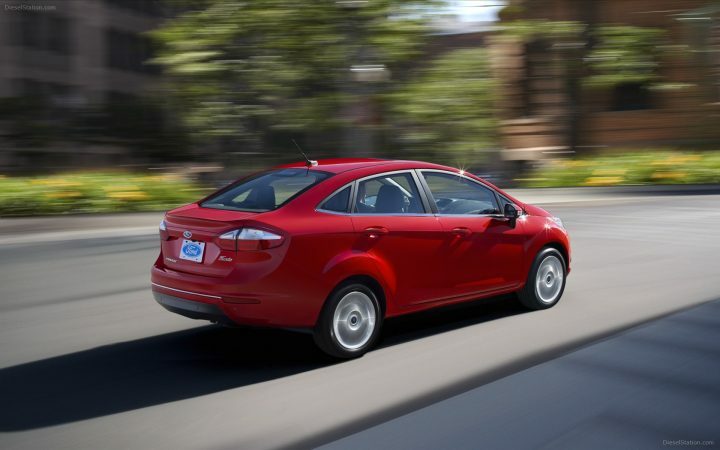 But the company’s flagship sedan, the Fiesta, does not enjoy the same attention though it is a pretty good car. The current Fiesta is one of the best driver’s cars in the country but the same has not been able to translate into sales numbers simply due to the premium price tag attached to it. The company hopes to attract more customers when it launches the Ford Fiesta facelift in 2014. The car will get a slew of changes on the outside and the inside but will remain bog similar to the current Fiesta under the hood. The Aston Martin like front grille with tons of chrome will be welcoming you alongside revamped head lights which look better than the current one. The bumpers of the car will be tweaked as well and the newer ones will add to the overall appeal of the car. The fog lamps are an all new unit as well. The rear of the car will be more or less the same with minor refreshing of the headlamps and a bit of chrome getting added. The car will come with higher levels of localisation that will allow Ford to price the car pretty aggressively. The word on the street is that the prices of the faelift car will start at Rs 6.99 lakhs, making it a very value for money proposition. It will get the same 1.5 litre diesel motor that produces 89 BHP/204 Nm and is mated to a 5 speed manual transmission. The 1.5 litre petrol motor with a power output of 107 BHP and a peak torque of 140 Nm will also be available with a 5 speed manual or a 6 speed automatic transmission. We are looking forward to the Ford Fiesta facelift, are you? Let us know in the comments below.